The internet is the greatest educational tool ever invented. Largely, in part, because smart people share their advice on blogs like this. As an internet entrepreneur, it’s important to take advantage of this free information, but you have to know which blogs to follow. So I’ve listed the top 25 blogs that every internet entrepreneur should read, many of which I read on a daily basis. Note: The subscriber counts came directly from the corresponding sites and are accurate as of September 2011. The first step in becoming an internet entrepreneur is building a website. All five of these blogs have helped me considerably when it comes to setting up WordPress and building a custom theme. WPBeginner.com is one of, if not the most complete resource in the world for setting up a self-hosted WordPress website. If you Google a WordPress question, more often than not, WPBeginner will come up on the first page. They even offer a free WordPress setup. What WPBeginner is to WordPress beginners, Yoast.com is to WordPress professionals. Once you have your site up and running, start reading Yoast to find more in-depth WordPress tweaks, tools, and strategies to help build out your site. The Thesis Statement is a website building and marketing blog run by the folks at DIY Themes (the creators of the Thesis Theme). I’ve read every word this blog has published in the last several months as I strive to refine my own Thesis-based blogs. If you’re looking to learn anything about creating anything for the internet, you’ll probably find an incredible tutorial on one of the Tuts+ blogs. If you want to refine your skills as an internet entrepreneur, start with the Tuts+ Dashboard. BuildInternet.com is becoming one of my favorite blogs. They host an extensive series of jQuery tutorials and plugins, but they also share their wealth of knowledge as freelance web designers and developers. Once you have a site, it’s time to focus on getting traffic. Each of these blogs will teach you the fundamentals and complexities of content marketing, social media, and search engine optimization. Copyblogger.com is the web’s foremost resource for copywriting and content marketing. I read Copyblogger every day because I believe the ability to craft words to communicate and convince is the most important skill for any internet entrepreneur to have. Alongside Copyblogger, Problogger.net has become the web’s leading resource for blogging and making money as a blogger. I put it in the getting traffic category because that’s essentially what a blog does. SociaMediaExaminer.com is widely considered as one of the top social media blogs in the world. You’ll find the latest information and tips about Facebook, Twitter, LinkedIn, Google+ and any other social media platforms that matter to your business. SEOmoz.org is one of the premier search engine optimization blogs on the net. This was the first site that taught me the basics of SEO and I carry those fundamentals with everything I write. I find their Whiteboard Fridays to be especially edifying. At just over a year-and-a-half old, ThinkTraffic.net is a relatively new site, but they’ve done a fantastic job of developing a loyal audience and consistently growing their blog. 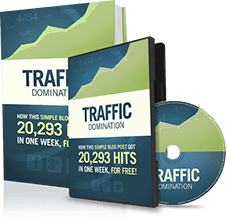 They reveal monthly reports detailing their traffic stats, where it came from, and what they did to get it. Now that you have a website that gets traffic, it’s time to start converting that traffic into leads. These blogs take a long-term approach to relationship building and lead generation, and they’ll teach you to do the same. The KISSmetrics Blog is becoming one of the web’s largest databases of web marketing infographics. Since their service focuses on analyzing your website to increase conversions, most of their content will teach you exactly that. SocialTriggers.com specializes in how to use psychology to encourage people to become more involved on your site. You’ll find plenty of tips on the small things that you can do with your site to drastically increase conversions. Conversion-Rate-Experts.com is a service with clients like Apple, Google, and aforementioned SEOmoz. By working with so many high-end clients (and their aim to work with more high-end clients), they’re able to develop content that attracts bigwig companies and is based on big time results. Having a website, traffic, and leads doesn’t necessarily turn into money. Read these blogs to find out how to generate passive income streams from your websites. One of the first things you’ll notice when you visit SmartPassiveIncome.com is how Pat Flynn says, “No, I’m not a millionaire, but I am living off of a passive income made online.” Consistent with Colin’s post last week, this site will help you create a modest internet lifestyle where you can do whatever you want. ViperChill.com is one of the top young entrepreneur blogs in the world. Now 22, Glen Allsop has been building websites since the age of 15 and has been making a full-time income since 19. He has a no-ad approach to making money online that I think you’ll find interesting. IWillTeachYouToBeRich.com is an extension of Ramit Sethi’s New York Times bestselling book, I Will Teach You To Be Rich. The lessons aren’t necessarily geared towards making money online, but they will help you keep and multiply your money once you have it. Similar to Think Traffic, PassivePanda.com is a relatively new site that’s already making a splash. It was founded earlier this year with a smart approach to the five pillars of making more money: freelancing, employment, entrepreneurship, investing, and awards. Once you have revenue, you have a business. But you need to learn how to nurture that business in order for it to grow. These blogs will show you how. I read every word on QuickSprout.com, minus the comments. Neil Patel is one of the most successful young entrepreneurs in the world, and we’re very fortunate that he’s willing to share his advice so freely. 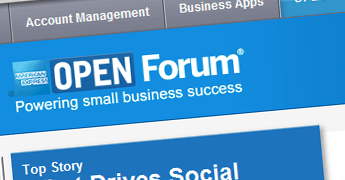 I consider OPENForum.com, by American Express, to be the top corporate blog in the world. They have a brand that’s been able to recruit the top entrepreneurs (including Neil Patel from Quick Sprout and James Clear from Passive Panda) to share their best entrepreneurial tips. The 4-Hour Workweek, by Tim Ferris, will become a classic as one of the first books to explain the fundamental differences between pre and post-internet work. FourHourWorkweek.com/blog is Tim’s complimentary blog that features more advice and case studies from companies that have implemented the revolutionary concepts in his book. The next step up from being a business owner is becoming an entrepreneur, but that requires a new mindset. The final five blogs in this list will help shape you into a well-rounded entrepreneur. Seth Godin is widely considered the world’s most intelligent marketer. And Seth’s Blog is the #1 marketing blog in the world according to AdAge. If you want to absorb even a sliver of his knowledge, start reading his blog every day. OnStartups.com is a blog by HubSpot founder, Dharmesh Shah, that updates about once a week with content for entrepreneurs that almost always goes viral. If you’ve noticed that IncomeDiary is posting more regularly, you’d be right. 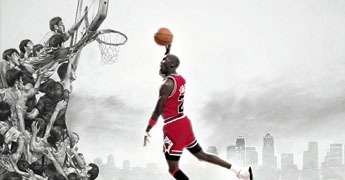 Michael is committed to quality content on this site and his site for young entrepreneurs, Retireat21.com. Most of Mixergy’s interviews require a premium membership to watch, but there’s still plenty to pick up on the blog. The nice thing about Mixergy is you can watch most of its content. Mark Suster isn’t going to win any design awards with BothSidesoftheTable.com, but he’s become one of the top blogging venture capitalists in the world. If you aspire to sell your business to a venture capital or private equity firm, you need to read this blog. I spend the first hour of every work day (basically every day) reading the blogs that I’m subscribed to. By doing this, I’m able to learn from the smartest people in the world on a daily basis. Think about that. Some of smartest people in the world give free advice on those blogs and you probably aren’t reading all of them. If you aren’t, you should start today. Did I miss any of your favorite entrepreneurial blogs? If I did, mention them in the comments below so other people can benefit them as well. Great List, some of my favourites here, and I have just signed up for the million dollar blog project that Think Traffic is running! Love Pat Flynn’s Smart passive income blog, and his podcasts are awesome! Wow, those two are my favorite too. Good luck to your million dollar project! How does it work? Yeah, the MDBP is a cool program that they’ve launched. I’m glad I included some of your favorites and I hope I introduced you to a few new ones as well. Nicholas, go read this post and the 25 recommended blogs, it’s better than being in the biggest library in Washington! Congratulations! I wouldn’t say it’s better, but it’s certainly more tailored to our interests. Thank you so much for this awesome post. I read almost all the blogs except “Both Sides of the Table”. Will follow this one from now on. Sure thing, Eunus. Mark is a smart entrepreneur/investor who also happens to be good at communicating his ideas. I think the two are related ;). There’s so much information online that it can be overwhelming. So recommendations from people we trust are very important. Thanks for recommending these sites. You’re welcome, Rick. I’m glad I could help you narrow it down. While I have seen most of these there were a few that I needed to check out. I really enjoy the Think Traffic and found it be have a ton of great content. Yeah, I just started reading ThinkTraffic and I appreciate how open they are with sharing all the stats about the growth of their blog. Build Internet did this as well for the first year. There’s a lot to learn on that site too. Excellent post! It’s vital that as Internet Entrepreneurs, we constantly make use of the free sources of high quality information out there. Especially if you’re a blogger, reading 25+ blogs each week will give you an incredible amount of ideas for new content. Picked up on a few new blogs, appreciate it. Hey Jamie! You’re right, some of these blogs are updated daily while others are just a few times per month. So reading all of them isn’t overwhelming. Great post Nicholas, I visit 15 of the 25 sites you have listed here on a regular basis and you’ve given me a few more spots to check out! I appreciate your effort on this write-up. Keep up the good work, the entire team of authors here makes my entrepreneurial journey way more fun! Thanks again. Best comment so far, Thomas! Michael has certainly brought together a talented team of authors and I’m glad to be a part of it. You’re welcome. That’s a huge list bro ! You have done a great work with this post . This article is a must-read for the newbie bloggers , web designers , internet marketers and freelancers . Once again , thumbs up dude . Yeah, it was a good ol’ five-pager in Microsoft Word, and that was before the images. I’m glad I can help you out. Hey, that was an awesome list man. I was aware of many blogs but the blogs for converting leads is a total surprise. Must get familiar with those links. Its quite difficult to identify the top sites in any niche, and it takes a lot of time. But once we have done that I guess we can spend time reading the best content online (like this) for free… Thanks for the list, mate. Sure thing, Raj! I didn’t think about it that way, but those are my favorite sites for each of those niches. Nice observation. Good advice about picking up all this wonderful free advice out there. Basically the instructions are all out there… we just have to make sense of it and then go do it. Personally I would add Jonathan Budd because I find him very motivational, but that’s just me! It’s an excellent list! I hadn’t seen Jonathan’s site before you mentioned it, Eric. I’ll be taking a closer look at how he’s built up such a huge audience. Thanks for sharing it. Some very valuable blogs to follow here, as a Mum of 2 little girls, I only have very limited time, so I won’t be reading all of these, as my time does not allow. If you had a top blog (or top 3) to recommend to the classic newbie affiliate marketer, which of these would they be? Affiliate marketing… I’d say Smart Passive Income, ViperChill and probably this one, Income Diary. Michael was my first introduction to affiliate marketing and I’ve learned a lot from him. I know most of these sites and can vouch for them, if someone was looking for only 1 to start at, I would go with Pro Blogger first. I had never heard of Passive Panda, I’ll be sure to check it out now though. Hey Jamie… Yeah, I’m excited for James and Passive Panda. He’s done a great job in a short amount of time. And he’s a contributor to OPEN Forum. That’s a great list, but I’m wondering how you read all this stuff in an hour a day? Hey Mark, good question. It takes me about 6-10 minutes per blog post to read it and let the concepts sink in. Not all of these sites are updated daily, so you only end up reading 5-10 blog posts per day. Plus, I focus more time on the ones later in the list because that’s where I happen to be in my entrepreneurial journey. Great list. Most of the blogs I read are listed here. You have done a good justice on this.. Thank you, Adesoji! It’s tough to make a list like this because you don’t want to leave any out and you certainly don’t want to recommend a site low quality content. Highly motivating list! This post is really inspiring and reminds me that it’s possible to be successful being a blogger. The fact is, if others can make the sacrifice with the determination, then I can do it. Thanks for the post! I know what you mean, Sonia. Pat from SPI, in particular, has no problem sharing exactly how much his site is making. Just seeing those $30K+ monthly incomes is very motivating. Great post. I read some but will now add some more to the list. I’m glad, Trevor. That was precisely the purpose. Great List Nick! I am a huge fan of Pat Flynn, CB, PB, and just recently landed on quicksprout which had some amazing information. One to include is BuzzBlogger by Kim Roach. Traffic Generating Machine! Hey Joshua… I think QuickSprout is my favorite of the bunch. Neil is only a few years older than you and I, but I look up to him like I would a 50 years of experience mentor. Greatest post i’ve ever read on incomediary! Good job man. I appreciate it, George. You should read a few more of the posts around here. That is a great list, I follow some of then, but there are a few that I don’t know. I will add them to my list. Yeah, Michael’s a busy man. Unless you’re Seth Godin or Brian Clark, it should take at least a few hours to write a quality blog post and create the images. I enjoy every post you publish. Your insight and ability to attract readers has amazed, inspired me and opened new doorways to potential opportunities that would have never seemed approachable a year from now. Since I began reading your blog 7 months ago I learned how to build a website and every day I am continuously learning about web development and attention getting techniques. Please keep up the great work and keep up the great content you have provided for us. I hope to one day be in a position such as yours. and Nicholas. Thank you for the great insight and resources. This will surely help me further accomplish my goals! I look forward to seeing many more posts from you on this website. You’re welcome, Eric! I’m glad I could help. Thanks for including WPBeginner Nick 🙂 I am truly honored that our site made it in your list. Syed, I wouldn’t have included it if it wasn’t one of those sites that have helped me out dozens of times. Keep it up. What a great list of websites to help the online marketing community get the most valuable information available on the Internet. I just added a few new sites to my bookmarks. The thing I have to constantly tell myself is to keep taking action each day so that I have a need to visit these sites to answer my questions instead of visiting these sites to kill time. ….Great Post Nicholas! Ooh, I like that point, David! Visit these sites to answer questions instead of to kill time. Very well put. These lists are awesome and give me a lot of new inspirations in blogging. I also recommend dailyblogtips by Daniel which is suitable for bloggers. Yeah, his site could’ve easily made a list like this. It just happens that I’ve used those other sites more. Yeah, I tried to focus on the sites that I’ve used and subscribed to rather than the sites that everyone says are the top sites. It would be great to see similar blog information about other subjects such as Fashion, Product, Architectural… etc..
Hey Sam… I think those would be interesting, but they’re outside the scope of Income Diary’s niche. 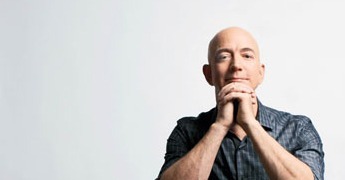 I know, however, that Michael was working on a list at one point of the top non-making money online sites. Even i am using from a long time 10-15 blogs from this list.. Thnx Nick now it will be easy to learn good SEO things from these Blogs..
Sure thing, Kulwant. I wanted to give everyone a broad set of blogs to help them with the various facets of internet entrepreneurship. There are a few sites on the list I had never heard of, a few others only in passing. I will definatley be taking a trip over to a few of those sites, tuts and Think Traffic look like they are definitely worth a visit. Perfect list. I got so distracted checking some out that an hour later I’m finally leaving a reply. Thanks for the great profiles. This is excellent! I haven’t seen a list like this before. It is a tad imtimidating, but I am bookmarking it, as I figure I’ll reach points where I want to learn from most of these sources. This list of the top 25 blogs for internet entrepreneurs will be of great use, not only to me, but to my subscribers as well!